Drought conditions in Mongolia. 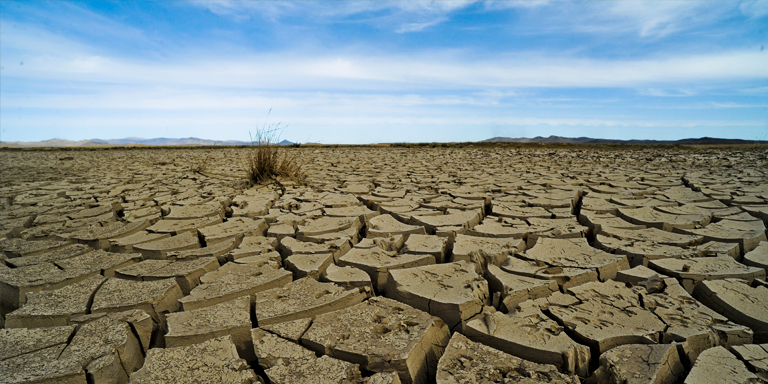 Environmental risks, such as extreme weather events and climate change adaptation failure, have been increasing and the trend is expected to continue. Photo credit: ADB. Looking at the next 10 years, global risk experts place environmental risks among not only the most likely, but also the most impactful risks. The call for climate action has never been more urgent and unified. Building on the 2015 establishment of the Paris Agreement and the Task Force for Climate-Related Financial Disclosures (TCFD), we are now witnessing the 24th session of the Conference of the Parties (COP24) to the United Nations Framework Convention on Climate Change and eagerly waiting for a more collective voice on climate change to take action. This year has seen environmental risks, such as extreme weather events and climate change adaptation failure, grow in prominence—and the trend will only continue. Looking at the next 10 years, global risk experts place environmental risks among not only the most likely, but also the most impactful risks. And among the most pressing physical climate challenges, transition risks will occupy center stage as we move toward a low-carbon economy. As we fast approach the end of 2018, now is an opportune moment to reflect on our climate achievements and assess how much more we need to accomplish in this transition. This report was adapted from content featured in BRINK ASIA. Rapid advancements in science have resulted in new technologies that will make renewables price competitive to fossil fuels by 2020, which is critical for wider adoption to facilitate the transition. Despite the promising outlook for these clean energies, progress in terms of replacing traditional energy sources has been modest. As much as emerging markets impose directives to wean off fossil fuels, there is a still a role for fossil fuels to play. Many still depend heavily on coal to balance economic growth, energy security and equity, and development. The same is true here in Asia. The People’s Republic of China, India, and Indonesia are among the top five coal-producing countries that are still using coal-fired power plants as a bedrock for economic growth—a cheap and abundant fuel source. The stakes are high in this region, especially in these highly populated economies, and the paths they choose for future economic growth will have huge implications on the environment. Until we consciously commit to end the fossil fuel era, we will continue to debate about the controversial role that fossil fuels play. The energy industry has, no doubt, observed a shift toward renewable energy sourcing, but solar energy may not be all that sustainable. For instance, as solar panels near their end of life and become obsolete, efficiency is reduced, and toxic wastes will be generated. Damaged or obsolete panels almost always find their way to landfills; there are no dedicated national programs or requirements to safely dispose of solar panels, which contain dangerous chemical components. Given the exponential increase in solar panel installation expected over the next 30 years, we must act to avoid adding to the burden of hazardous waste management. With innovations in science and technology, it is time to research and plan for more responsible methods of manufacturing solar panels. From upstream mindful eco-design to end-of-life downstream panel recycling and hazard elimination, we must ensure that solar as an alternative renewable energy will not ultimately create unforeseeable environmental risks. One of the Paris Agreement’s key pledges is a commitment from countries worldwide to reduce national emissions to keep global warming within agreed levels, known as Nationally Determined Contributions (NDCs). They are essentially climate action plans that indicate how countries are providing standards for cities and jurisdictions to align their corresponding plans with global commitments and national targets. Hence, NDCs provide a guided framework that allows stakeholders to take actionable steps in a meaningful way. The People’s Republic of China has measured and monitored its carbon intensity emissions and non-fossil fuel power contributions against its commitments and is one of the three G-20 members reportedly on track to meet its NDC targets. For example, the carbon tax is a common macroeconomic instrument for climate action. It is not meant as a punitive measure, but rather it offers a potentially cost-effective means of reducing GHG emissions by signaling that investing in alternatives will be incentivized. Before the end of 2017, the People’s Republic of China officially announced its national carbon market, which puts a price on carbon to commit to reducing GHG emissions by a quarter below business-as-usual by 2030. Singapore will also start imposing a tax on carbon from 2019 onward, to be reviewed by 2023 with the intention of raising it to stimulate the growth of clean energy systems in the market. However, it is evident that investors of renewables will require a coherent and comprehensive set of risk information for such decision-making and fund allocation. The Financial Stability Board’s TCFD does just that—and more. Besides promoting more effective disclosures to support investors in making informed decisions, the TCFD creates a common language for different stakeholders (financiers, policymakers, scientists, corporates, among others) to discuss the financial system’s exposure to climate-related risks and opportunities. In addition to having the right regulatory frameworks, significant amounts of capital—including private capital—will be required to meet the NDCs. Globally, up to $3 trillion must be invested annually in the infrastructure of tomorrow, which is meant to be sustainable, low-carbon, and climate-resilient. Funding these climate-related investments has resulted in many financing instruments expanding beyond their traditional boundaries. For instance, the global green bond market issuance reached almost $160 billion in 2017 and is growing in significance as an effective way for companies to attract private finance for green infrastructure. The green bond market necessitates greater disclosures by the issuers. While this ultimately allows investors to have much more meaningful dialogues with issuers, certain jurisdictions impose strict liability standards and rigorous disclosure approaches with legal implications, which may have inhibited growth in certain geographies. The green bond market today accounts for just around 2 percent of total bond issuance. Moving forward, diversification of the green bond market will be imperative, including expanding the market to new issuers and new currencies. For a start, bond issuers must realize the value and benefits of disclosing robust information on the processes of managing the proceeds, including any impacts (such as risks and opportunities) posed by the green bonds. The transparency, clarity, and integrity of information will raise awareness and confidence of investors and other stakeholders, thereby raising demand for the product. We must embark on an orderly transition to a low-carbon economy. When the science and technologies behind renewables are yet to be scalable, there is still a role for fossil fuels to play—albeit it should be a gradually diminishing one. Importantly, while governments and policymakers are debating NDCs and setting ideal carbon prices or mandating green bond standards, it is imperative for the private sector to act and mitigate against the business interruptions that environmental and climate risks can pose, beyond just the occasional inconvenience brought about by the weather. Ultimately, for climate action to be collective and meaningful, all stakeholders—especially those with the financial ability, societal influence and political will—must do more and with greater urgency. Failing this, much of the promise emerging from meetings such as the COP24 will ring hollow a few years from now. Jaclyn Yeo is a senior research analyst at the Singapore-based Asia-Pacific Risk Center and co-author of the Cyber Risk in Asia-Pacific publication. Prior to joining the APRC, she was a risk researcher at the Cambridge Centre for Risk Studies, based in Cambridge, the UK.